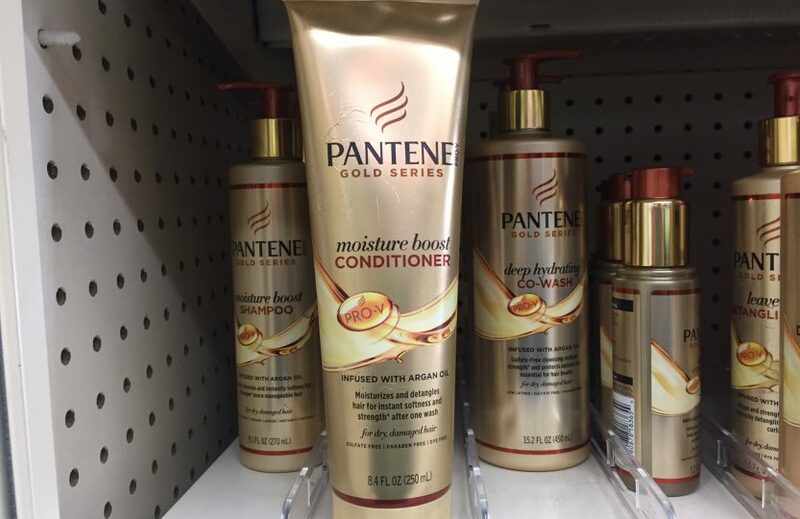 There I was, walking through a Walgreen’s, and this bottle of Pantene Gold nearly jumped off the shelf at me. I snatched it up and flipped it over (I never read all the promises on a bottle’s front. They can tell you anything they think you want to hear. I just read enough to think it might have the ingredients I’m looking for). I’m always on the lookout for the perfect conditioner. The ones I’ve tagged as “go to” conditioners are the ones I feel are the best I’ve used yet. The ones I go to after I try a bad product. These are the ones I use afterwards to get my hair back the way I like. So I was thinking this might be the newest addition on my short list. When I flipped it over to check out those ingredients, there it was. 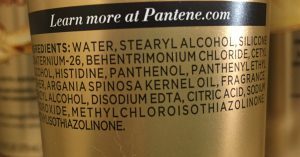 The ingredient that told me this would not make it to the short list of beloved conditioners, or even get purchased: sodium hydroxide. (It’s hard to see it in the photo of the ingredients here, but you can see the “sodium” on the far right side, second line from the bottom, and then the “hydroxide” on the far left side, the next row down. I tried to squish the bottle flat when I took the photo so you could check out the ingredients for yourself, but the tube was not very squishable.) I’m sure the sodium hydroxide is in there as a pH balancer, but still. Yuck. I’m not going to risk it.